The Independent Corrupt Practices and Other Related Offences Commission (ICPC) has again arraigned the former Executive Director of Aso Savings and Loans Plc, Maimuna Aliyu, for diverting $360, 000 belonging to the bank. In a one-count charge before Hon. Justice Dimgba of Federal High Court, 10, sitting in Abuja, ICPC accused Aliyu of receiving $360, 000 for the sale of some plots of lands and refused to remit same to the bank. 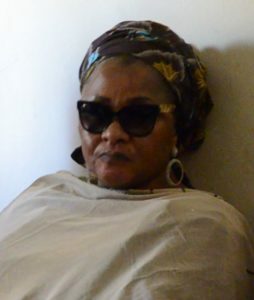 The Commission said that Ms. Aliyu, while acting as Executive Director, committed the alleged offence in December, 2012, contrary to Section 22 (1) (a) and punishable under Section 30 (2) (1) (a) of the Foreign Exchange Monitoring and Miscellaneous Provisions Act Cap, F34, Laws of the Federation 2004. The Accused pleaded not guilty when the charge was read to her. Her lawyer, Mrs. R. Okotie-Eboh, prayed with the court to grant her bail in liberal terms while ICPC counsel, Ekoi Akponimisingha, prayed the court to make her bail conditions stringent to ensure compliance. Justice Dimgba in his ruling granted her bail in the sum of N5 million with one surety in like sum who must be a civil servant not below Grade Level 14 or if a businessman, must possess properties within the jurisdiction of the court. The bail conditions also include submission of her international passport to the court. He further ruled that the accused should be remanded in the Suleja prison, if she fails to meet the bail conditions after 36 hours. The matter was adjourned to the 6th of February, 2019 for commencement of hearing.